Norco 79324G 6000 Lb. Rolling Lift Bridge Air/Hyd. Norco Norco 79324G 6000 Lb. Rolling Lift Bridge Air/Hyd. 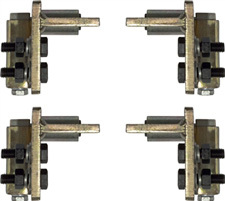 Universal mounting brackets adjust to a lift rail opening of 48-3/4”.The universal mounting brackets can be installed in the bridge right side up or up side down for a total of eight different height locations when securing the adapters to the bracket. Adapter kits are sold separately. Flat-end and hook-end adapter brackets are equipped with spring-loaded roller bearings for smooth maneuverability of bridge on lift rails. INTENDED USE: Used in quick lube pit applications or in conjunction with above ground lifts. The bridge straddles the lift rails and raises the vehicle’s tires off the rails for wheel alignment, brake, tire and suspension work. 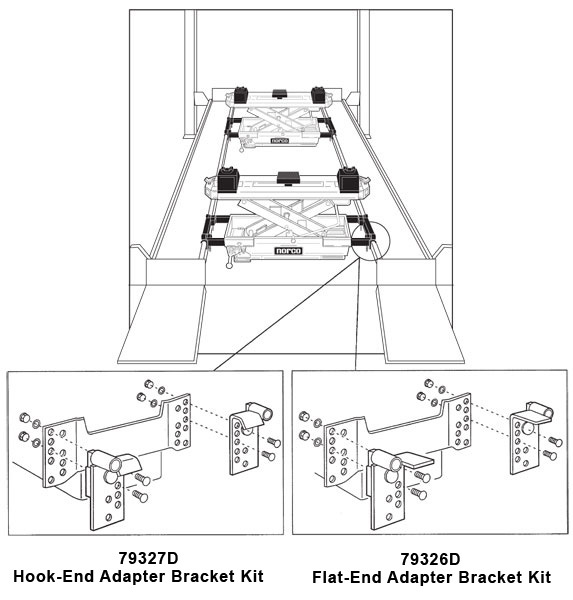 This set of 4 adapter bracket kit enables the Rolling Lift Bridge to roll on flat surfaces. 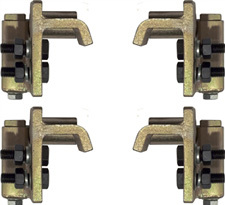 This set of 4 adapter bracket kit enables the Rolling Lift Bridge to roll on the rails of the lift.